Hockey, or ice hockey as it is known in many countries, is a fast, aggressive, and incredibly exciting sport to watch, play and bet on. As its popularity has spread all over the world in the past few decades, betting on it has also become a favorite pastime for millions of people who can earn some serious cash while placing bets on who will win the game, who will score the first goal and many more. To do that, hockey fans first need to find a good, reliable betting site that would offer them the most hockey markets and the best odds. Picking up the right online sportsbook, however, is often a daunting task, especially for less seasoned bettors who are making their first steps into the world of online betting. There are hundreds of Internet platforms that offer wagers on hockey and each one of them comes with slightly different odds, choice of betting markets, and promotions. Often, bookmakers focus on a certain sport or a group of sports, depending on the type of customers targeted. The best hockey betting sites would be thus oriented towards North American and North European markets, as the sport enjoys huge popularity there. But there are plenty of other factors to consider when selecting a website to bet on – whether it offers in-play betting and live streaming of major events, whether the odds have true value, whether the sportsbook is optimized for mobile use, and whether the payments are fast and convenient. Most seasoned bettors also know well that the legitimacy, security and overall reputation of the sportsbook is also of great importance. 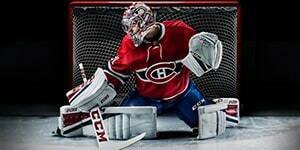 In this article, we have compiled some of the most essential features of all good hockey betting sites in an attempt to help bettors compare different bookies and find the one that is best for them. Hockey matches are fierce and aggressive and the top leagues in this sport are highly competitive, providing betting fans with lots of opportunities to make money. At the same time, making correct predictions is hard, which only adds to the excitement. For this reason, good betting sites for hockey must offer not only good odds but also plenty of bet types and flexible markets. Moreover, major bookmakers help their customers develop a successful betting strategy by providing statistics about teams, athletes, and matches. Prices are very important and customers can easily compare the best odds available online but there are several other things they should also look for. Most online sportsbooks that are suitable for ice hockey betting display the odds in the American format, also known as money line. The main markets are money line (betting on the winner in a match), totals (goals over/under), and puck line (a type of point spread, which is fixed at +/-1.5). It is always a good sign when an online sportsbook offers In-Play (Live) betting on hockey matches, supported by live streams of major events and competitions. 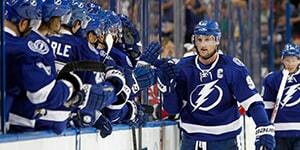 This brings us to one of the fundamentals of hockey betting sites, namely the event coverage. The strongest and most popular league is the National Hockey League (NHL) and in reality, most bookmakers cover it, offering competitive odds and plenty of prop bets to choose from. While NHL is composed of only US and Canadian teams, more than a quarter of all players originated from other countries in the 2017/2018 season, for instance. Many players from Sweden, Finland, Russia, and the Czech Republic also participate in the NHL and this clearly shows the popularity of ice hockey in these countries. Of course, many major bookmakers also cover the leagues there, including the Russian KHL (Kontinental Hockey League), which has teams not only from Russia but also from Finland, China, Belarus, Slovakia, Latvia, and Kazakhstan. Other large leagues customers can bet on are the Deutsche Eishockey Liga, Switzerland’s National League, the Swedish Hockey League, the Czech Extraliga, and the Finnish Liiga. Betting on most sports requires near expert-level knowledge of the game, as well as the current state of the leagues and teams. This is even more important in ice hockey where everything can change within seconds and surprises are not unusual. For this reason, good betting sites try to attract more customers with comprehensive information about the hockey leagues and the form of the teams, as well as with players and managers statistics, results and season standings, home/away records, team news, etc. Similarly to most North American sports, detailed stats are readily available for ice hockey, so bettors should be able to find tons of in-debt data online. Moreover, some bookmakers also offer their customers the help of professional tipsters – these are the people who closely monitor all stats and news related to the sport and are able to outline the major trends relevant to a specific league. Tips and predictions are usually offered daily, with some sites using specialized betting predictions software, which calculates the probability of a specific event happening based on previous data. When choosing a site to bet on, hockey fans should also take a look at several other important tools that may prove to be invaluable for their long-term success. First of all, the good design of the site is essential to its overall appeal and may instantly make you love or hate the sportsbook. It should be simple and easy to navigate, but at the same time, it needs good functionality. Bettors should look for a platform that gives them instant access to all sections of the sportsbook, an easy-to-use Cashier system, a Live Chat functionality, and most of all, a convenient Bet Slip that allows them to see all their single and accumulator bets, along with the odds and the potential winnings. It is also important for the betting site to be available in multiple languages (including multilingual support) and currencies in order to cater to as many customers as possible. Customization options are also useful, especially for betting websites, which often have quite a generic interface and software. In order to make their offering even more personalized, they should also offer a rich variety of deposit and withdrawal methods, suitable to all types of bettors. Last, but not least, customers who wish to bet on hockey should check whether the sportsbook offers a quick cash-out option. This feature was introduced several years ago and is still seen as one of the biggest breakthroughs in sports betting because it allows bettors to cash out or remove their stake before the event is over. It applies to live/in-play betting and may save you a lot of money as you can close your bet in the last minute when you see that the team you wagered on would probably lose. Of course, there are usually some limitations associated with the option such as the types of bets eligible for it, the minutes before the end of the match during which it can be used, etc. There are three main types of odds that could be seen in sports betting sites, namely fractional, which are common in Ireland and the United Kingdom and for best on horse races, decimal, which are popular across Europe, Canada, Australia and New Zealand, and money line odds, which are mostly used in the United States. Contrary to popular belief, odds do not reflect the likelihood of a certain event happening. Rather, they show how much bookmakers are willing to pay out on a winning bet. Logically, events that are less likely to happen come with a larger payout, while those with higher probability are associated with more modest payouts. If the risk equals the reward or the reward is higher than the risk, these odds have true value. Depending on the odds format, this can be represented differently by the different sports betting sites. When it comes to hockey-focused or at least North American sports-focused bookmakers, they would often display the odds the American style. This type shows how much is won on a $100 stake when positive and the stake that would be needed to win $100 when negative. When you see a -200 odds on a hockey team, this means that this is the favorite for the match and you need to bet $200 to win $100. If the odds are positive, however, they are for the underdog – a +200 odds mean you need to wager $100 to win $200. Not all bookmakers show the plus sign and only some of them would offer even odds, which are represented as +100/-100 in this format. As hockey is also quite popular in certain European countries, however, many Europe-based betting sites offer a wide range of hockey markets. The most commonly used odds format for them, however, is the decimal type, which expresses the total return (the stake plus the profit) of a winning $1 bet. An even bet in this format would be displayed as 2.00, which means that if your stake is $1, you will win $1 and your total return will be $2. Odds of 1.50 will be equivalent of -200 in the American format – here, you bet $1 and win $0.50. The American +200 will be converted to 3.00, which means that if you bet $1, you will win $2 for a total return of $3. Those who are used to betting only on the winner of a hockey match are missing out on many exciting and potentially rewarding types of bets. There is a wide range of bets that can be placed on ice hockey events, the main known as money line bets, totals and puck line bets. The money line bet is the most widely known type and with it, punters bet on the team that will win. Many betting fans believe that because this is the simplest way to wager, it is also not particularly profitable. But this is not true, especially if the odds are good. Another quite standard hockey bet is the period bet, which allows bettors to place a bet on one of the three periods hockey matches are split into. There is nothing complex about this type of bet and the only thing you should know is that the only result that matters is the result at the end of the period you have chosen. 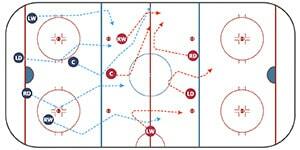 The puck line bet is yet another common type of bet that is often placed on hockey matches. It is used as an alternative to the money line and can be described as a form of a point spread. In hockey, however, it is always fixed at +/-1.5 goals, which means that the outright result of the match is irrelevant – in order to win, the team you back needs to win or lose by at least 1.5 goals. This may sound confusing but it is quite simple, in fact – if you place a puck line bet on Team A (+1.5), you will be correct only if it wins by at least 2 goals, as 1.5 goals are not possible in hockey. If you choose Team B, which is assigned with a -1.5 puck line, you will win if the team wins or loses by less than 1.5 goals. In other words, if your team loses by only 1 goal, your bet will still win and you will receive the respective payout, calculated by the respective odds offered by the bookmaker. The other common type of bet in hockey betting is the total bet, also known as over/under bet. With it, punters bet whether the total number of goals in the match will be over or under a certain number, called a line. In most cases, the line for hockey games is fixed at 5.5 – of course, there are no half goals, but the line is determined in this way so that there are no ties. You can, therefore, bet on whether the match would end with 5 goals or less, or that their total number will be 6 and up. The line never changes but sometimes the payout odds can be adjusted – typically, the payout for both results is the same. Another popular form of betting on hockey is by placing futures bets – bets on the outcome of multiple events over the course of a long period of time, typically, over the course of the hockey season. Usually, these bets are very popular at the start of the season and the odds are very high (+800 and more) but they change as the season progresses and certain favorites can be outlined. Often, bettors can bet on multiple teams and if one of them wins, they will still make a profit. Most major betting sites also offer a wide variety of props (short for proposition bets) on hockey games and competitions. Props can be found on many sports and they offer sportsbook customers to bet on all kinds of things that usually have nothing to do with the actual result of the match – the outright winner, the number of goals, etc. Instead, props are can be considered additional or side bets and in hockey, they could be placed on which team will score the first goal, whether the total number of the goals would be even or odd, etc. While some of these bets require in-depth knowledge of the game, the teams, and the players, others are nothing more than guessing. And of course, in the first case, these bets can be included in a successful long-term betting strategy. The other type of prop bets is simply offered for entertainment purposes. 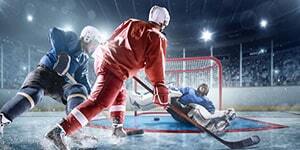 One of the most exciting ways to bet on most sports, hockey included, is in-play betting. These are the bets you can place after the match has started. In-play betting also refers to the bets you placed before that but are now deciding to change, depending on the current action. The odds here change constantly, depending on what happens throughout the game. This is probably the most thrilling way to bet on your favorite sport, especially if it is as fast-paced and aggressive as hockey. It is also extremely difficult, however, as betting on live matches requires a lot of experience and nearly expert-level knowledge of each and every detail of the game. This is why it is essential that you have access to various statistics and comprehensive data on the teams and players. Most betting sites that are good for hockey betting would provide stats and news, and even more importantly, live streaming of all major events. It is always convenient when you have a large choice of banking options when betting online and fortunately for hockey fans, the majority of betting sites offer a great variety of them. Whether they are focused on hockey and North American sports or not, online bookmakers usually offer at least two or three brands of credit and debit cards. You would typically find Visa, Mastercard, American Express, and Maestro, while some sportsbooks would also accept Discover, Chase and Diners Club International. Credit and debit cards allow bettors to make secure and instant deposits into their sportsbook balances and withdraw their winnings usually within 3 to 5 business days. This option is convenient, highly secure, and more importantly, most bettors are familiar with using such cards online. Prepaid cards and vouchers, on the other hand, allow betting fans to bet online much more securely and discreetly. Usually, you only need the PIN code of the voucher in order to make a deposit without the need to provide any of your personal or banking information. The transaction is conducted within seconds and the deposited funds are immediately available into your betting balance. Plastic and virtual prepaid cards that can usually be used at hockey betting sites include Entropay, Paysafecard, ecoPayz, and PostePay, but there are also various Mastercard and Visa-branded prepaid cards available. The main disadvantage of such prepaid solutions is that withdrawals are not possible for them. A great payment solution that allows both types of transactions is the digital wallet, which is a recent technological innovation but has already become a preferred payment method for sports betting fans. These e-wallets allow incredibly fast, secure, and low-cost transactions and can store sensitive information such as credit card details and personal information in a safe, reliable manner. The largest brands on the market today are PayPal, Skrill, and Neteller, and they are accepted by most betting sites. Other digital wallets that are picked by an increasing number of online bookmakers include WebMoney, ApplePay and the wallet service of ecoPayz. Another payment method that is gaining popularity among bettors around the world is the instant bank transfer. This is an electronic financial transfer between the customer’s online banking account and the betting site but it is conducted through an intermediary service. It saves time and ensures that your bank would not cancel the payment. Good online sportsbooks would usually offer such instant bank transfer services – Trustly, Giropay, iDebit, Instadebit, Interac, Euteller, UseMyFunds, Citadel, iDEAL, Klarna, EPS, Sofort, and many others are available, depending on your country of residence and the bank you have an account with. Of course, most hockey betting sites would also accept Bitcoin deposits, as well as other cryptocurrencies, payments via bank wires and online banking, rapid cash transfers such as Western Union and MoneyGram, and others. Mobile devices are becoming more and more important in our everyday lives and many bettors are now looking for ways to access bookmakers sites directly from their phones. Of course, all major betting sites are following this trend by providing full mobile compatibility of their platforms. Their sites load directly into the mobile browsers, maintaining great performance and functionality due to their mobile-friendly design. These web apps are usually easy to navigate, well performing, and very convenient but some online bookmakers have decided to offer dedicated applications for iOS and Android-powered devices. Native sportsbook apps can be downloaded for free and usually include all essential sections of the betting platform – you can instantly sign up, deposit, manage your account, and place bets from your phone or tablet. Some of them also offer live streaming directly to your device and special offers and free bets for mobile users. Both alternatives are available and it is up to bettors to decide what to choose. What they should look for in a mobile sportsbook is its performance, usability, and functionality, as well as its reliability. 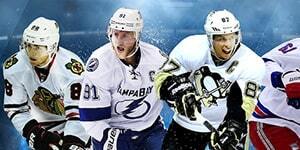 One of the most important factors to consider when choosing a good site for hockey betting is its security. First of all, bettors should always opt for legitimate sportsbook operators who have all the proper licenses for providing betting services online. This provides customers with at least some level of legal protection and guarantees fair play. It is easy to determine whether the bookie is licensed or not – the logo of the particular licensing and regulatory agency is usually displayed at the bottom of the web page. The second thing to check is whether the betting site provides a secure connection. This is necessary for any website that carries the transmission of sensitive data such as user’s personal details and banking information. Even if a betting site claims to keep its customers’ data private and secure and yet, does not support HTTPS, should not be trusted. Bettors can easily check whether the communication transfer is encrypted by looking at the lock icon next to the web address of the site – safe, trustworthy sites display a green padlock icon that says Secure. As described above, good, reliable betting sites can guarantee their customers high levels of online security, fairness, and transparency, as well as safe, fast, and convenient ways to deposit funds and withdraw sportsbook winnings. The good mobile support is also very important as is the multi-lingual platform of the sportsbook. Great betting sites also process payments fast and in various national currencies with no steep fees. What hockey fans should look for in a sportsbook, however, is a bit more specific. Not all betting platforms offer a wide range of hockey markets, so those who wish to bet on this sport should opt for one that pays extra attention to North American sports and covers major hockey leagues like NHL and KHL. Additional features such as In-Play betting, live streaming of matches, and a Stats section are also important. Of course, a good online platform for hockey betting would also offer hockey-specific bets and plenty of exciting and fun props. 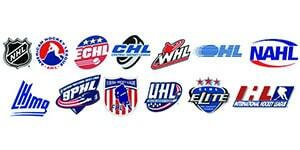 Fortunately for hockey fans, some of the leading sportsbooks on the market meet all these conditions and promise their customers tons of free bets and other promotions.